Ochsner’s commitment to providing the best care possible includes using innovative technologies to educate and empower our patients. The Ochsner m3D lab can create custom 3D models to inform our patients about their unique conditions and help them feel more comfortable about their healthcare. When Jalanea Lowe was 5 years old, she was diagnosed with a rare and life-threatening condition. The base of her skull was not properly connected to her spine, causing an instability that made it difficult for her to hold up her head. Also born with Down syndrome and receiving treatment for leukemia, Jalanea was in danger of becoming paralyzed or worse without rapid intervention. The delicate procedure would require removing a small piece of bone and using screws to stabilize the area and prevent damage to her spinal cord. In most hospitals, her surgical team would examine X-rays and use a generic model to discuss their plan. Here at Ochsner, 3D printing technology enabled her team to print an exact replica of Jalanea’s spine and skull to better prepare her surgeons for the procedure and better explain the procedure to her family. “Being able to actually see a replica of Jalanea’s spine and skull before operating gave me peace of mind that they were confident in their ability,” says Jalanea’s mom. Ochsner is using exciting new technologies to make the results of complex tests like CT scans and MRIs easier to comprehend and more accessible to medical trainees, clinicians, and patients and their families. Advanced medical visualization techniques, like 3D printing, AR and VR, help our clinical teams deliver care for the most difficult cases. With 3D printing, also known as additive manufacturing, the m3D lab can build accurate, individualized 3D models from medical imaging. 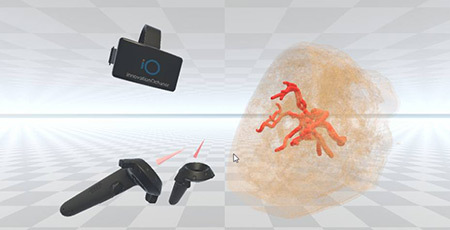 VR allows clinicians to explore patient-specific anatomy in ways they never could before. For example, this technology helps cardiologists and surgeons explore the inside of newborns with rare heart defects and develop personalized interventions, neurologists and neurosurgeons can better localize seizures and liver surgeons are optimizing their approach to tumor surgery. Perhaps most importantly, these tools are brought directly to the patient so that they can better understand their health and become a more informed partner in their healthcare decisions. Follow @OchsnerM3D on Twitter for information about our work. Please contact m3d@ochsner.org for further information. Since the advent of 3D printing in the 1980’s, it has been used in a variety of industries including aerospace, automobile and defense. 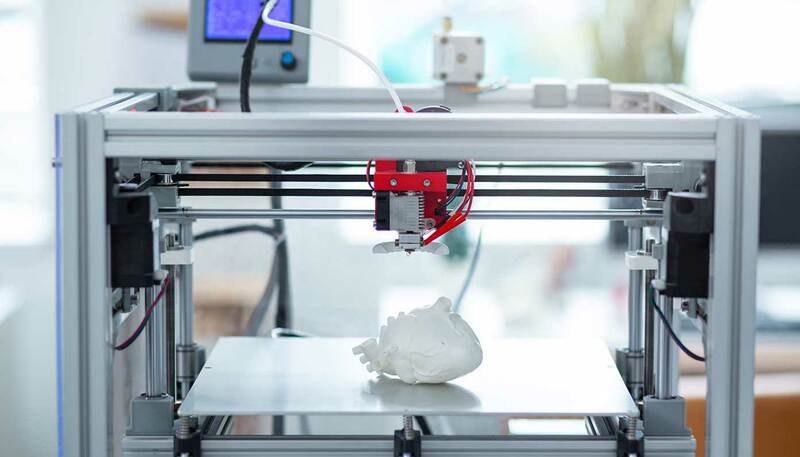 3D printing is now being used in medicine for patient education, medical training and surgical planning. Immersive technologies, aka mixed reality, refer to technologies that augment and/or replace the physical world with a digital or simulated world, thereby creating a sense of immersion. Augmented Reality (AR) and Virtual Reality (VR) are types of immersive technology. 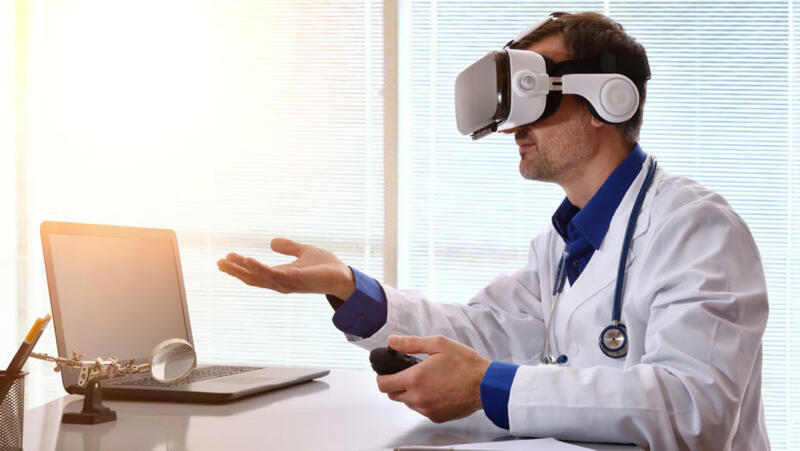 Immersive technology is continuing to grow both in the gaming industry as well as other fields like medicine, gas and energy education and retail. Read about four ways immersive technologies are changing the healthcare space. Dr. Korak Sarkar joins Hello Health on TV to share a fascinating overview of 3D printing, virtual reality, and augmented reality that are allowing Ochsner to deliver 21st century healthcare. In this video, Korak Sarkar, MD discusses the innovative visualization technologies the Ochsner m3d lab is using to improve patient care and education. Click here to learn how 3D printing is being used for enhancing and simplifying photography of donor organ pathology. Dr. Korak Sarkar was included in the Silicon Bayou 100 for his work as director of the m3D Lab.